Another Groundhog Day has come and gone (last Saturday, 2 February). Did you follow the proceedings? I checked it out; but, as usual, I was confused. 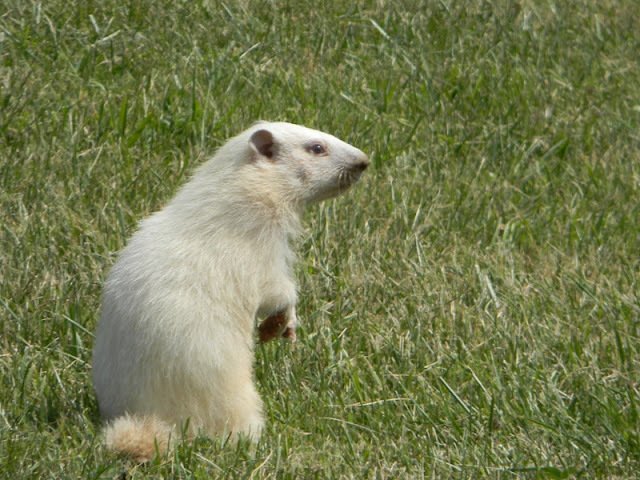 Is it six more weeks of winter if the little varmint sees his shadow? Or does that indicate an early spring? I forget. And what does it mean if the groundhogs disagree? Because now there are a whole pack of the rodents across this continent busy with this prediction each year. Free-enterprise prognostication, thank you very much! 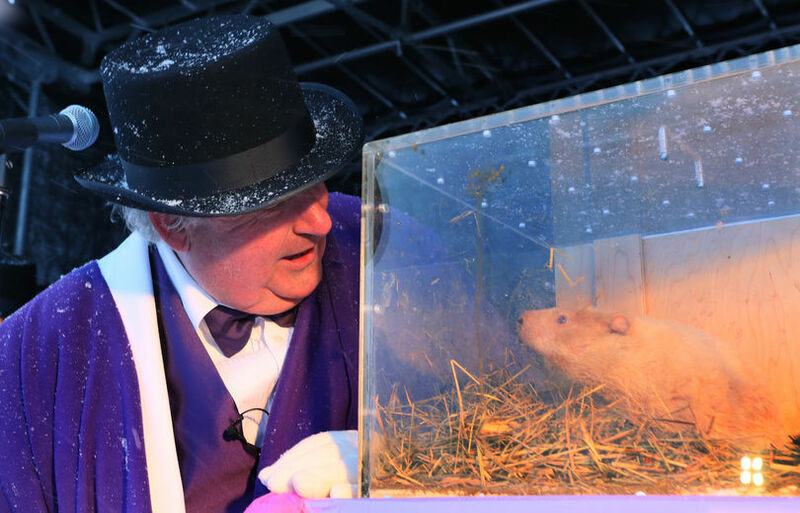 Our local prognosticator, Wiarton Willie, is based – as his moniker implies – in the small town of Wiarton, located at the southern end of the Bruce Peninsula. Groundhog Day, of course, occurs on the second day of February each year and human beings have been officially consulting Willie on this day for the last 57 years. Did you know that Wiarton Willie is an albino groundhog! And the verdict for 2013? Willie did not see his shadow, apparently, so that means – I looked it up – there will be an early spring. How do we know that he didn’t see his shadow, you ask. Well, it’s a bit of a scam. 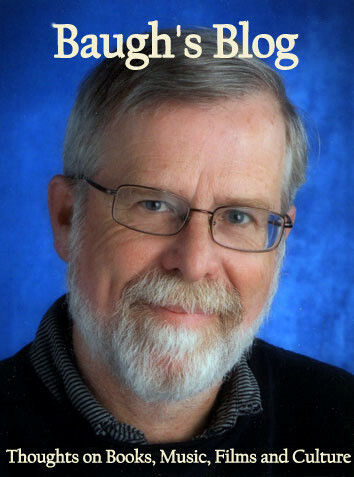 South Bruce Peninsula mayor John Close looked into Willie’s plastic cage (plastic?) to see if he could observe any shadows. Wait, isn’t that supposed to be the groundhog’s job? Why not just ask Willie, Mr. Mayor? Too complicated, it seems. So, Mr. Close gazed long and hard. 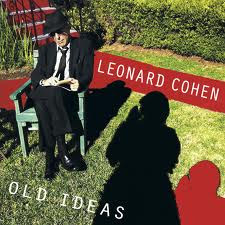 “It’s an early spring,” he declared, much to the relief of the expectant crowd. But Willie is just one of the groundhogs busy in North America. What did the rest of his fraternity think? Mixed opinions, I’m afraid. Punxutawney Phil – down in Jefferson County, Pennsylvania – and Winnipeg Willow, in Manitoba, agreed with Willie (early spring); but Shubenacadie Sam, in Nova Scotia, and Quebec’s Fred, it seems, went and saw their shadow, predicting six more weeks of winter. But why the second day of February each year, anyway? That’s the interesting matter, not the phoney malarkey they do with the groundhogs. Well, it’s all about dividing up the year – part astronomy, and part culture. The year, of course, is divided first into quarters – the seasons. 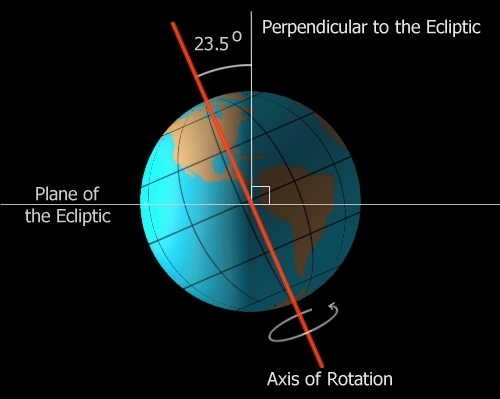 This is fairly straightforward, although it is quite surprising how many people cannot explain the basic astronomy: that the seasons are created by two essential facts – the Earth revolves around the Sun, and the axis of the Earth’s rotation is at a 23.5° tilt. The summer and winter solstices occur at the precise time of the Sun’s transit over the Tropics of Cancer and Capricorn; and the spring and autumn equinoxes occur at the precise time of the Sun’s transit over the Equator. These four events each year – the solstices and equinoxes – create the so-called quarter days. So far, so good. But the long, three-month gaps between quarter days (especially the winter one) have people often counting the days between each – especially when anticipating the end of the coldest stretch of the year. And this is where culture is important. If you are anxiously counting the frigid days of winter, you are likely to notice that day upon which you are exactly half way to spring. That’s where the further sub-divisions come in. If you divide each season (91-and-a-bit days) in half, you create four more markers – the so-called cross-quarter days that lie half-way between solstices and equinoxes. Groundhog Day, therefore, is one of four cross-quarter days – lying half-way (about 45 days) between the quarter days of winter solstice and spring equinox – the middle of winter, in other words. Groundhog Day is all about pausing at this bleak mid-point in winter and pondering the possibility of a mild spring. This dividing up of the year into particular feasts and festivals is a fascinating thing. It makes the year more interesting: a parade of dramatic events and observances. This used to be done more significantly in the past – in our more mytho-poetic past. These days, in our modern, secular, scientific world – dominated by a homogeneous, 24/7 ethos – we have a rather impoverished and drab succession of days that are often difficult to distinguish from each other – beyond the basic commercial division between workdays and weekends. In my youth, I experienced a lot more of these seasonal observances in the Liturgy of the Church – made more interesting because they were movable feasts, whose exact moment was based on the lunar calendar, rather than the Sun’s. And then there were the vestigial celebrations, based on the pre-Christian pagan feast days – many of which were “Christianized” and moved slightly, in order to disguise their pagan origins. Let’s look at the solstices and equinoxes first (the quarter days) – they are more familiar – and then consider the more obscure, cross-quarter days. At the winter solstice, the sun is at its lowest altitude above the horizon. This usually occurs on 21 December. In the northern hemisphere, this is the shortest day of the year (the least amount of daylight). The term Yule is a pagan word. 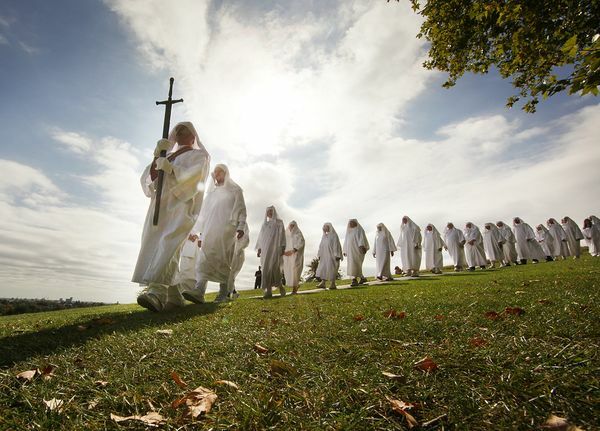 In ancient Britain, the Druids cut mistletoe that grew on the oak tree and gave it to each other as a blessing. Mistletoe was a symbol of life in the dark and harsh months of winter. The Druids also started the Yule log tradition. 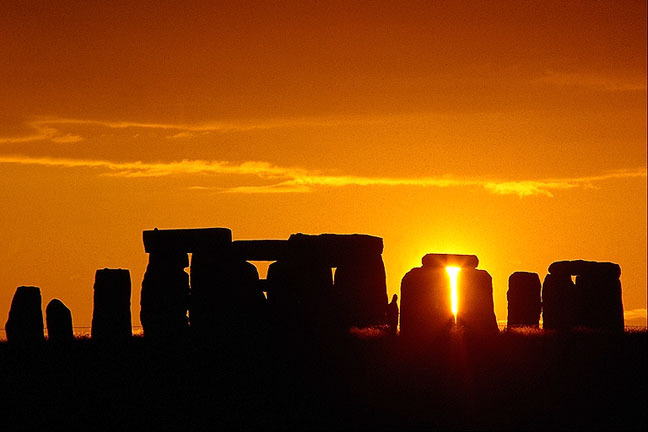 The celts believed that the Sun stood still for twelve days in the middle of winter (now that’s a real “solstice”! ); they burned a Yule log to conquer the darkness, to banish evil spirits, and to bring luck for the year ahead. This must be one of the underlying origins of the Twelve Days of Christmas. Christmas day (the nativity of Jesus) was set on 25 December, instead of 21 December, to differentiate it from the pagan observances. On the summer solstice, the Sun would be at its highest elevation above the horizon – marking the longest day of the year (the most hours of daylight). The pagan term for midsummer day is Litha. This festival has been of great importance in the Scandinavian and Baltic countries. The burning of bonfires (representing the incredible heat and light provided by the Sun) is a common ritual of these celebrations. In England, people gather at Stonehenge and wait for the rising sun to emerge above the horizon, aligning with the monument’s Heel Stone and Slaughter Stone. The Christian liturgy puts the birth of John the Baptist close to the summer solstice. He was said to have been born six months before Jesus. The spring equinox (equinox means literally “equal night” – referring to the equal amounts of daylight and night time on this day) occurs usually on 21 March. The Church put the Feast of the Annuciation of the Blessed Virgin on 25 March – again close to, but not exactly on, the day of actual astronomical significance. And the autumn (or “fall”) equinox, usually falling on 21 September, marks the other day of the year with equal amounts of daylight and night time. In the Church liturgy, Michaelmas Day was placed on 29 September, close to this equinox. Michaelmas Day honoured the Archangel Michael, who defeated Lucifer in heaven. In the medieval period this was an important day: first, because it was one of the Church’s Days of Obligation (believers were required to attend Mass that day and receive communion); secondly, because it was the end (and beginning) of the husbandman’s year. By this date the harvest would be over, and the bailiff, or reeve, would settle the accounts for the year. A new reeve was usually elected on this day by the manor’s peasants. Now the quarter days used to be very important in the British tradition. They were the four dates in the calendar when servants were hired and rents were due. They fell on four religious festivals aligned with the solstices and equinoxes: Lady Day (March 25), Midsummer Day (June 24), Michaelmas (September 29) and Christmas (December 25). In England payments on leaseholds, and rents on land, are often still due on the old English quarter days. This made sure that debts and unresolved lawsuits would not linger on for more than three months. Accounts had to be settled and noted in public records. The British tax year still begins on Lady Day – the old Lady Day of 25 March under the Julian calendar (now 6 April in the Gregorian calendar). The cross-quarter days are also three months apart and each one lies half-way between the quarter days. February 2, as we’ve seen, is Groundhog Day. But in the Church liturgy, it was celebrated as Candlemas. In pre-Christian times this day was celebrated as the Feast of Lights. The Church transformed it into a day that commemorates the ritual purification of Mary forty days after the birth of her son, and Jesus’ presentation in the temple at Jerusalem. 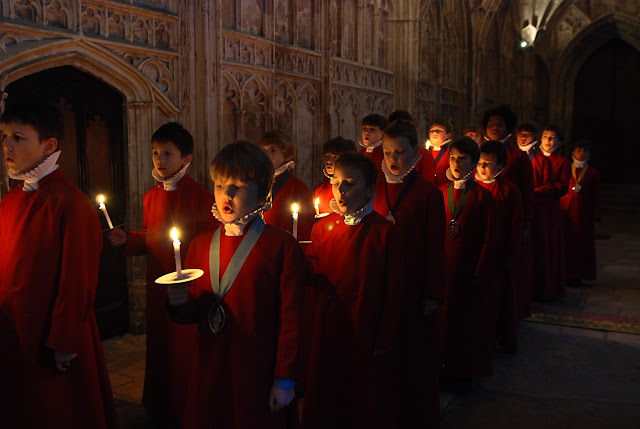 It became the day when the candles that would be used throughout the coming year would be blessed – hence, the name Candlemas, or the Festival of the Candles. Candles are symbolic of the light that Jesus brought into the darkness of the world. In the pagan world, this day was known as Imbolc. It marked the beginning of spring. Imbolc has been traditionally associated with the beginning of lactation in ewes and the start of the lambing season. The next cross-quarter day is May Day. The pagan origins of this day are more evident than that of 2 February. In celtic societies this was the pagan festival of Beltane. It marked for them the beginning of summer. This explains, therefore, why the quarter day that follows (the summer solstice) is referred to as Midsummer Day. Common rituals on Beltane included bonfires and fertility rites. 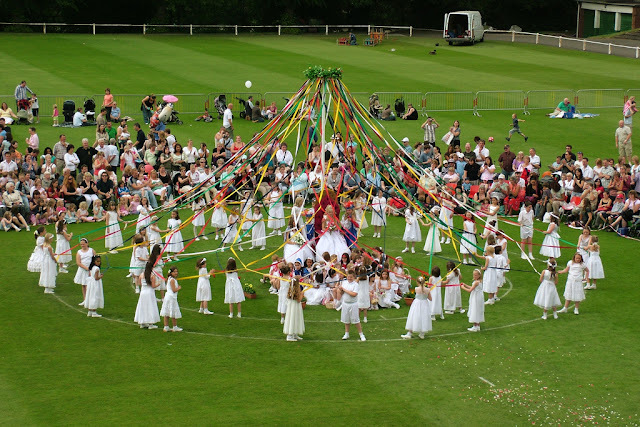 Dancing around the Maypole (surely a phallic symbol!) and crowning the Queen of the May were popular activities. 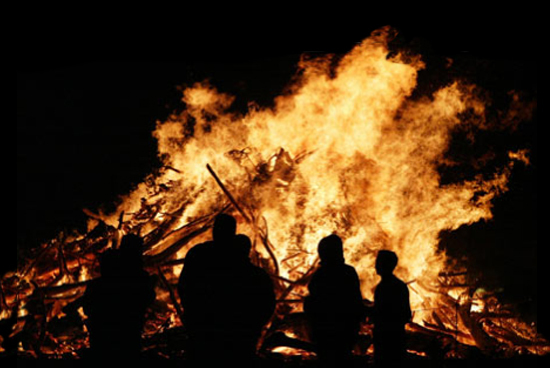 In Germany, this festival is known as Walpurgis Night – and the evening activities are dominated by large bonfires. In the Roman Catholic tradition, May is celebrated as Mary’s month, beginning on 1 May with a celebration in honour of the Blessed Virgin Mary. Mid-way between the summer solstice and the autumn equinox is Lammas (1 August). The name derives from Anglo-Saxon – hlaf-mass, which means “loaf-mass”. 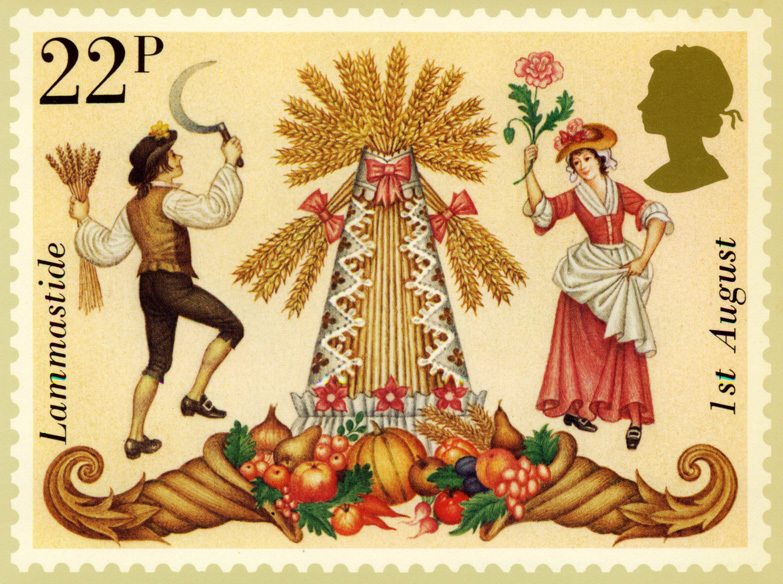 Lammas is the festival of the wheat harvest – the first harvest festival of the season. Traditionally, loaves made from the new crop of wheat were brought to Church. They were blessed and then often broken into four pieces and placed in the corners of the barn, to protect the newly-harvested grain from pests and diseases. In parts of England, tenants were required to deliver quantities of fresh wheat to their landlords on or before the first of August. In pre-Christian times this day was marked by the pagan feast of Lughnasadh – also celebrated as a harvest festival. The final cross-quarter day of the year is All Hallows Day (1 November). In the pagan tradition, this day was known as Samhain; it marked the end of the harvest season and the beginning of winter. Cattle were usually brought down from their summer pastures, and most of them were slaughtered, in order to provide food for the long winter months. Bonfires were often lit. The people and their livestock would march between two bonfires as a cleansing ritual, and bones of slaughtered cattle were thrown into the flames. The souls of the departed were often invited to attend the rituals and honoured places were set up for them at table. 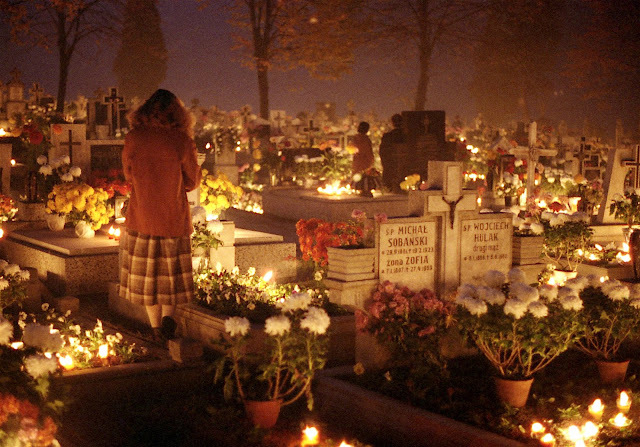 These rituals are often likened to the Christian festivals of the dead that take place on this day. The Church instituted this day in order to honour the souls of all the martyrs of the Church and, by extension, all those faithful who had passed on to the next world. All Hallows Day was established by Pope Gregory III in the eighth century and was made a Holy Day of Obligation (unless it fell on a Saturday or Monday). 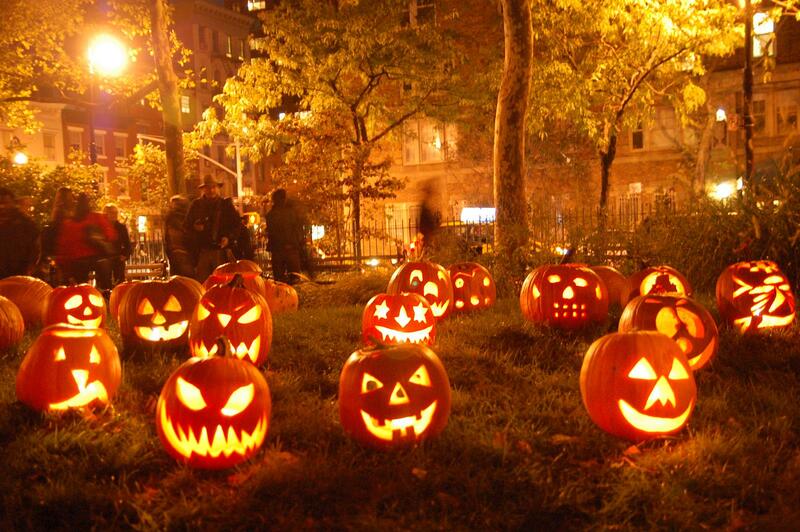 The feast of Halloween (Hallows Eve) was influenced by harvest festivals and pagan festivals of the dead. It spread throughout the U.S., under the influence of Irish and Scottish immigrants in the nineteenth-century. The Puritans of the north-east U.S. strongly opposed the festival – recognising its pagan influences. Guy Fawkes Day (“Bonfire Night”) in Britain – despite its political and religious origins – is almost certainly a displaced hold-over of some of the Samhain traditions. So there you have it. Instead of a year of twelve months and four seasons, we can think of our year as an annual cycle of eight festivals and feasts: four quarter days and four cross-quarter days. And whether you’re a Christian, ‘pagan’, or devout secularist, there must be something in there to honour or celebrate!